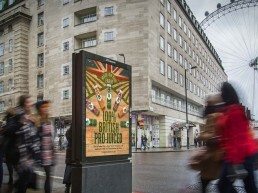 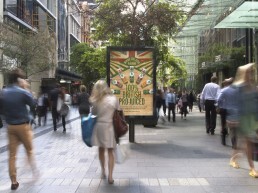 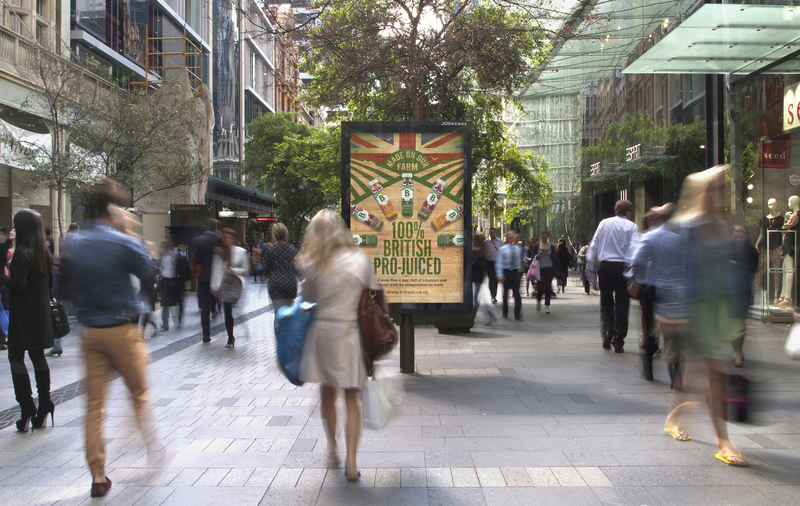 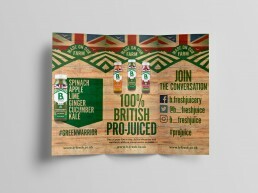 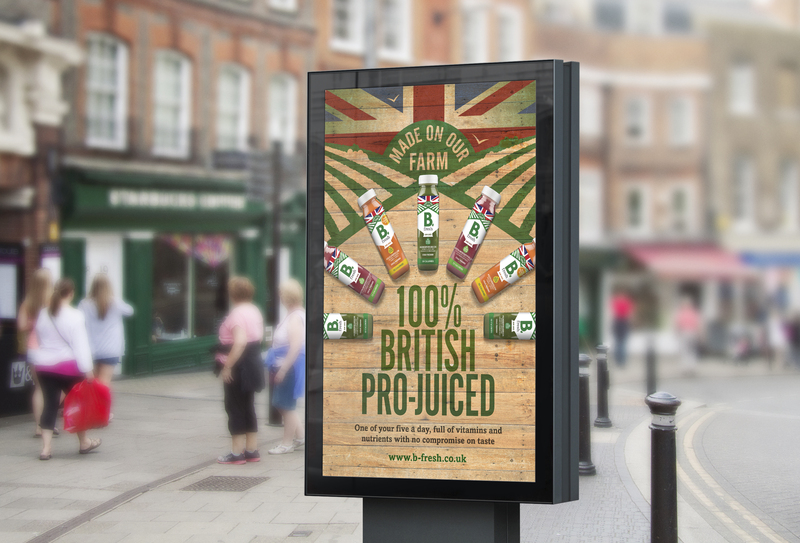 Cold-pressed juice brand B-Fresh wanted a campaign to support its first ever UK-wide outdoor advertising campaign to celebrate its British farm-made message. 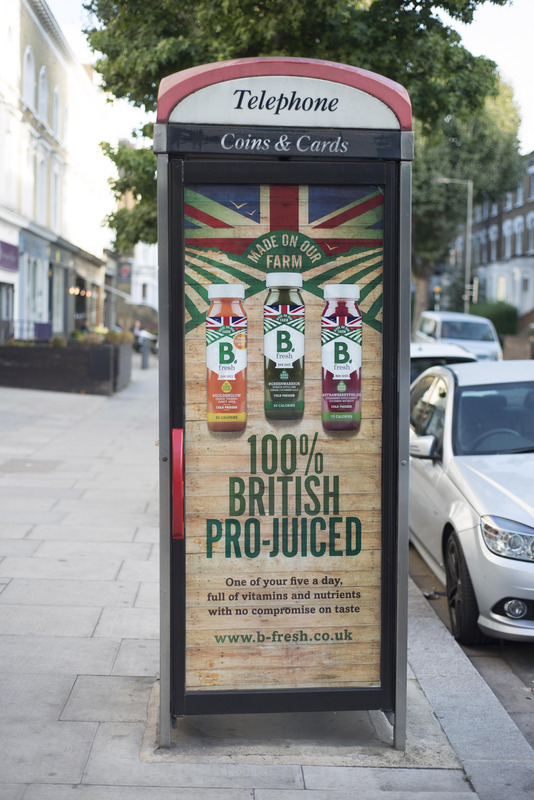 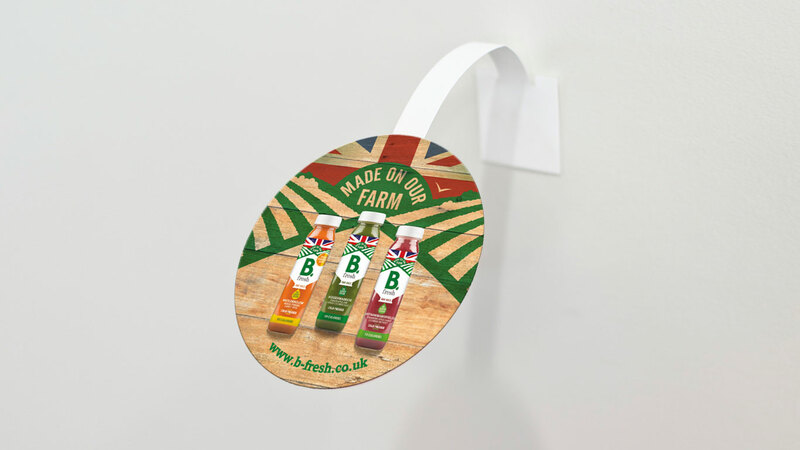 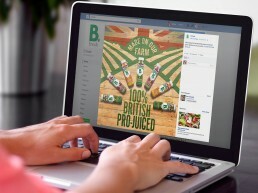 We researched the market and discovered B-Fresh is the only cold-pressed juice that is made entirely in the UK. 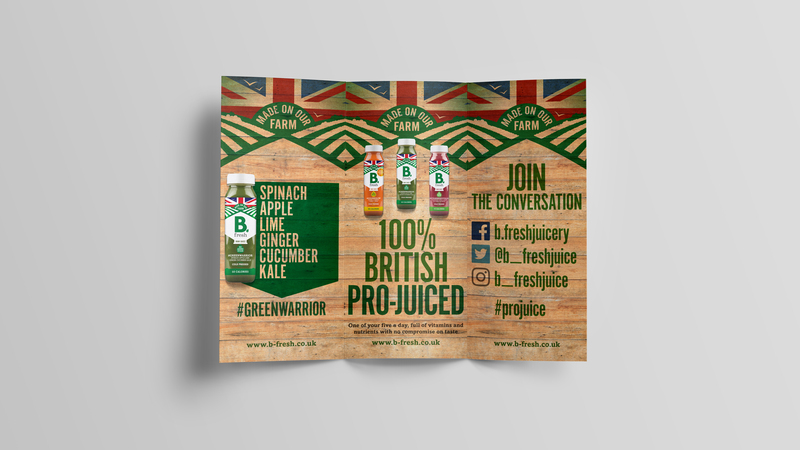 We developed the tagline “100% British pro-juiced” – a play on words with “produced” that also highlights the brand’s juicing credentials. 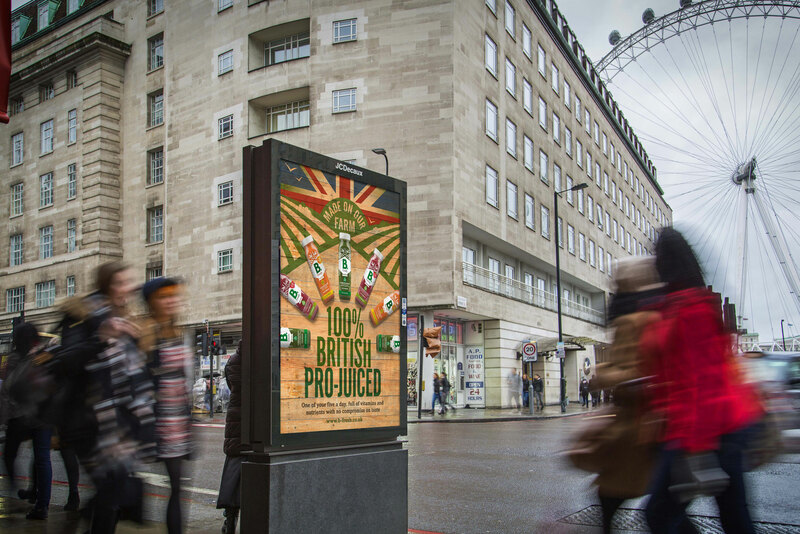 The campaign ran with investment in street talker advertising positions, primarily in the South East, with extended reach in cities nationwide fully supported by digital activation. 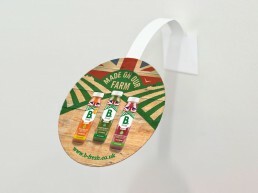 We injected the original packaging with colour and features including the full Union Jack flag behind the “made on our farm” message to further reinforce the brand’s standout claims. 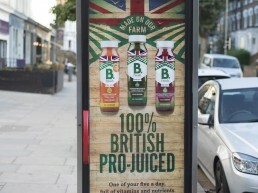 The campaign was fully supported throughout September with street sampling in key locations, along with a social campaign to attract consumers back into the category. 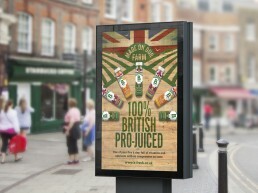 With the bottles only just on the shelves, it’s a little too early for results but early predictions look great. 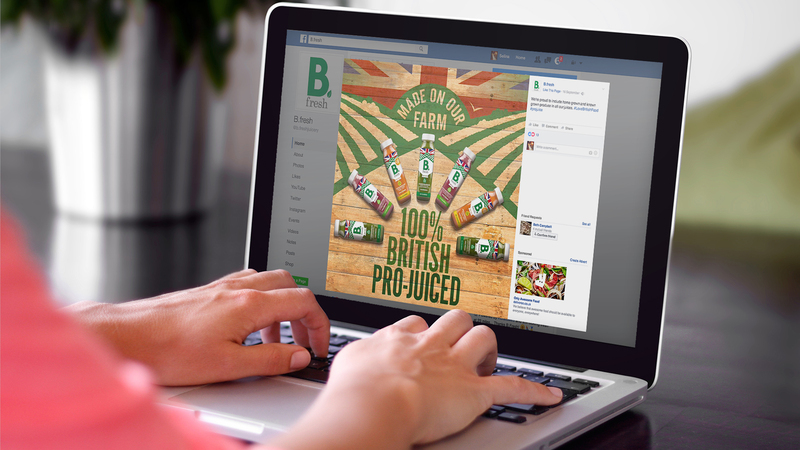 We will publish results as soon as they are available.